For many organizations, the key to winning more sales opportunities is the salesperson's ability to establish meaningful business relationships with senior executives in the client's organization. If your competitors do a better job at this than you do, your chances of winning major deals are slim. 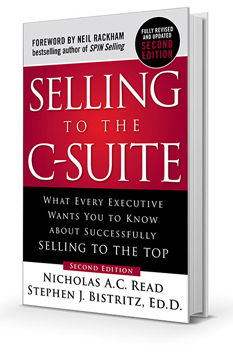 Selling to executives is critical - so the SellXL workshop focuses on helping salespeople create, maintain and leverage relationships with senior client executives. SellXL, available in both English and Spanish, gives sales professionals the knowledge and skills they need to identify and align with the relevant executive in the client organization - so they can win those key deals.